3 Ply sock yarn from Crown Mountain Farms "Touch Me"
Latte: I am trying to finish the Clapotis, from Creatively Dyed Yarn. I'm still working on the Vanessa Antiopia socks and the Dressy socks, for which I learned the purled long tail cast on. Grande: I made a quick preemie hat from leftover sock yarn. I cast on 64 stitches, knit some ribbing, and then added the "Long Swinging Cable (page 90) pattern from Barbara G. Walker's Charted Knitting Designs: a Third Treasury of Knitting Patterns. I also blocked Catkin and am loving it. Stir: Lots of spinning this week! I finished a three-ply sock yarn from Crown Mountain Farms super wash merino in the color Touch Me. I also attended Spinning at the Winery at the Retzlaff Winery in Livermore, CA. There, I saw lots of friends, made some new ones. I also purchased my first supported spindle, by KCL Woods. Thanks to Miss Kalendar for showing me her supported spindle, and to Deebz for giving me a quick lesson. Playing around with this new spindle reminds me how much I enjoy spindle spinning. Bonus! You can see Deebz demonstrating Lever Knitting here. Brewing: I am "suffering" from Startitis and it seems to be my nature to have "too many" projects on the needles. I'm mostly being drawn to shawls, and I'm trying to choose among: Derecho, Faberge, Calliope's Odyssey, Carson, Taygete, Zephyr Cove, Rockefeller and Dreambird. I might cast on several! I'm also thinking about sweaters, especially Lilium, Floriston, Brynna, Twigs & Willows, Buds and Blooms and the Askew Cardigan. Bite: Since I will soon be leaving the Bay Area, I want to spend a few days exploring San Francisco. Where do you think I should go? What are the "don't miss" places and things to see? Sofa: Arrested Development. Season Four has arrived on Netflix. Do yourself a favor and if you aren't a fan, watch it from the beginning! Wired: I talk about three apps: Springpad, Swiss Army Knife and Google Now. Are you using Google Now? If so, how do you like it? Today's episode's title is an homage to Lemony Snicket and his Series of Unfortunate Events books. Latte: I'm knitting the Gratitude Clapotis, and I cast on Dressy and Vanessa Antiopa socks. Bitter Cup: The lovely Bumblebirch Grove yarn I purchased in Portland is most definitely NOT for socks! I don't know what I was thinking. It will, however, make a lovely shawl. I restarted them in Fiber Optic Yarns Foot Notes in the color Lavender Mist Batik. Also….I knit several inches on the Vanessa Antiopa socks before realizing that I have to make them in size medium, not small. That never happened before! Stir: Mary and I split a fleece at the Monterey wool auction and sadly, neither of us know which of her fleeces this is. Maybe you can help! See the photo below. Recognize it? Let me know if you do! Taste: I review Crochet One-Skein Wonders edited by Judith Durant and Edie Eckman. It's enough to make me learn to read crochet charts. I mention Wrapped in Comfort by Alison Jeppson Hyde and also talk about crochet beaded bracelets. You can learn more about this type of crochet bracelet here and also here. Chai: I had the pleasure of seeing and hearing Clara Parkes at A Verb for Keeping Warm. She talked about her Great White Bale project, and you can read more about that here. I also finally met Wonder Mike host of one of the best podcasts that ever has been produced, Fiber Beat. Mike is organizing the next Men's Knitting Retreat, and if you are a knitting man and want to know more about it, look here. I think you can still download Fiber Beat episodes on iTunes. Brewing: Inspired by Clara's talk, I think a bit about the future of yarn and what we can and perhaps should do about it. I also talk a bit about the convention of men's and women's clothing buttoning in opposite direction and I invite everyone to rebel and put the buttons and buttonholes on whatever side pleases YOU. Events: I will be at the Retzlaff Winery for Spinning, and the Black Sheep Gathering. Sofa: I continue to love Grey's Anatomy, even after nine(!) years. I'm pushing myself through Buffy the Vampire Slayer's unfortunate sixth season. I recommend a very important book, Far From the Tree: Parents, Children and the Search for Identity by Andrew Solomon. Menu: I was gifted with a big bowl of Meyer Lemons from which I made Super Lemon Ice Cream from The Perfect Scoop and Lemon Curd Bars from The Joy of Cooking. Latte: I'm working on the Clapotis and I'm getting ready to cast on a pair of Dressy socks out of Bumblebirch Grove yarn in the color way Mineral. This is yarn I acquired recently in Portland where it is hand-dyed. I'm planning to get back to work on several sweaters, especially my hand spun SPAKAL sweater. I was re-inspired for all things spinning by the latest Spin Doctor podcast. I'm especially excited about knitting with my handspun. Bitter Cup: I had a mishap while knitting the Twisted Flower Socks. I would like to be better able to read my lace knitting! Grande: I did, however, finish the Twisted Flower Socks, by Cookie A. This is my second time knitting this pattern and it was a real pleasure. 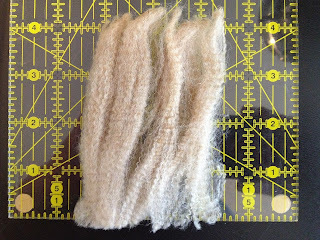 Brewing: I have been musing about reading books in general and knitting books in particular. This week, I'm re-reading Clara Parkes's Knitter's Book of Socks. I also mentioned her Knitter's Book of Wool and Knitter's Book of Yarn. How is reading a knitting book like and different from reading a novel, non-fiction book, textbook or cookbook? While discussing this, I mention the book The Devil in the White City by Erik Larson. I also have been thinking about creativity that is stimulated by various types of contstraints. I'm wondering how to limit something about my knitting with out "punishing myself". In other words, I'm not swearing off buying yarn or anything like that. I'm not sure where this is going, but it might end up having something to do with spinning. I also thought about my yarn buying habits: the good: sock yarn, the bad: buying a sweater's worth for of yarn with no particular sweater pattern in mind, and the ugly. Actually, I don't have any ugly yarn. Taste: A Tasting Menu this week, with reviews of Knitting Pattern Essentials by Sally Melville, Knit Your Own Moustache by Vicki Eames, the "Wife of Brian" and The Knitter's Curiosity Cabinet Volume II by Hunter Hammersen. Events: I will be at A Verb for Keeping Warm to see and hear Clara Parkes on May 15. I will be spinning at the winery and I am almost sure to be attending Black Sheep Gathering in Eugene, Oregon .